Words have always been very important to Intercom. This blog, our product marketing, and our books are all testament to that. But equally important are the words within the product itself – the product names, microcopy, labels etc. Elizabeth McGuane, our content strategist has had incredible impact on the language of our product over the past year, so we sat down to discuss when startups should start thinking about content strategy, how to find a consistent tone for your product, and why the rise of bots is bringing language front and center. If you like what you hear, check out more episodes of our podcast. You can subscribe on iTunes or grab the RSS feed. Content strategy is as much about internal communication as it is about the final words that the customer sees. When it comes to tone, what feels right for a single experience might not be right for the overall product. Many content strategists work closely with design and engineering, so it’s important to be familiar with the tools those teams use, and even be able to make changes directly to the code base. Breaking words down into their basic structural patterns can help guide you when trying to write great interface copy. Not all bots are created equal. Research is showing that we engage with text-based interactions very differently than we do with voice ones, which has big implications for how bots are designed. Des Traynor: Elizabeth, welcome to the show. This is going to be all about content strategy. A lot of people are going to be like, “Content what?”, so let’s start with what contact strategy is. How do you define it? Elizabeth McGuane: People might confuse it with content marketing, content governance or any of the other “content” disciplines. All those things I would think of as being a part of content strategy. It’s a big umbrella that lots of things can fit into. 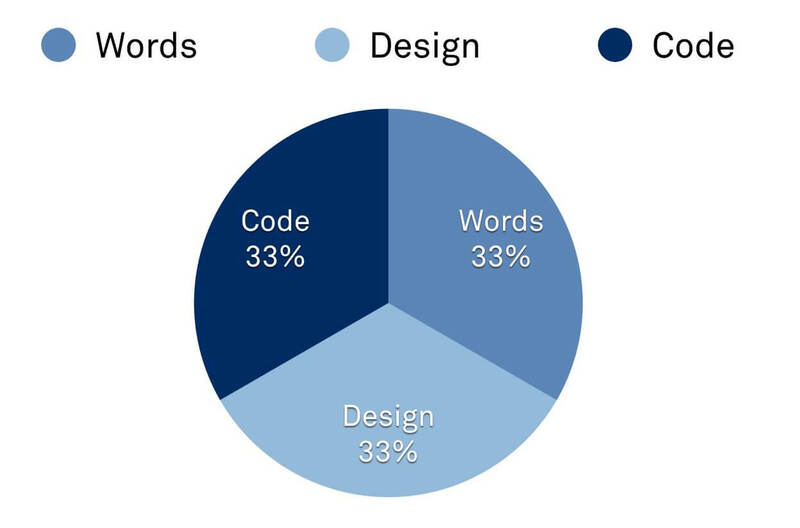 When we practice content strategy at Intercom, we’re talking about the foundations of what we’re building – the terminology we use, how we define things, the visible words you can see in the products, and how it all fits together, as well as the tone and voice of the product itself. Those are the underlying basics of content strategy that feeds into everywhere else we talk about the product, including marketing. Des: Clearly it’s external, because it’s what people see and experience with the product, both in terms of the words we use and the tone we speak in. But it also seems like it has an internal purpose as well. Elizabeth: It’s the connective tissue between a lot of different disciplines. I spend time talking to engineers about how we’re defining our terminology and code, as well as to our analytics team. For example, we recently restructured our event naming. That’s the very technical aspect of content strategy, but fundamentally we’re talking about the same things. What are things? What are the things we’re building? How do we describe them in an effective way, and how do we do it in a way that we understand and that our users will understand? Des: If you take Intercom, it’s a reasonably broad product. There are a lot of different concepts, from messages to people to companies to automatic messages. The simplicity and consistency of word use matters. Elizabeth: It definitely does. When we started out, there were people in Intercom that cared about content and thought about language in a very careful way. We chose really simple words. The problem for us has been that as the product has expanded, those simple words are applied to different things that don’t all mean quite the same thing. Sometimes it feels like I have a list of 25 words and I have to make them fit all these different use cases. A lot of the work we’re doing now is getting down to clarity and making sure that the words we’re using define what the product does now, and gives it some room to grow as well. Des: What’s an example of one of those conflicts? I know we used the word “people” at the beginning. Have we moved to “user”? Elizabeth: We call this “the people problem”. In our marketing, we talk about people: “These are the people you’re talking to”. We use this a lot in our advertising, and it is really simple conceptually. But when you’re trying to purchase a product or use the product, you need a bit more granularity. Am I talking about visitors to a website who aren’t logged in, or actual active users? We now have a system: The people who are within Intercom are teammates, because they’re all on teams. Then we have customers, or if you want more granularity, we can say end users, visitors, leads. You get progressively more granular depending on the use case. Des: A lot of listeners are early stage startups, or they’re small teams within large companies starting something new. At what point should they be applying the content strategy lens? And what’s a sign that you’ve left it too late? Elizabeth: You’ll might realize you’ve been doing it anyway, and that it has become something that somebody needs to do full time. You’ve already been paying attention to terminology and to structure, to user experience and the language in the user experience. You’ve been thinking about it, and it just becomes something you need someone to manage. That’s a really good trigger for knowing when content strategy needs to be a job on its own. Or you realize you haven’t been thinking about it. Your product is a mess and you’re using the same word to mean two different things. People are asking lots of questions about clarity and not understanding the basic system that you have. Des: I presume you’ve got crazy variance in tone, from the strict to the casual? Elizabeth: Tonal variants are funny, because you’ll find these unusual tones in parts of the product – or in marketing, or in the whole content experience – that you wouldn’t expect. You might delve into developer documentation and find emojis running rampant, just because a developer got bored and decided to have a little bit of fun with how they write it. It’s a balance between consistency and what feels right for the product. This is particularly true for Intercom, because we’re building a product that helps people express themselves. We want something that feels functional, but that allows that expression to happen. There’s always a push and pull. You have to make the right choice for that experience, or that part of the experience. Five simple words in an interface can carry a huge weight in a product. Des: What’s the content strategist’s obvious bug bear? Elizabeth: There are the classic things like terrible dialogues and modals that people don’t understand. For example, if I have cancel and close beside each other, and I don’t know what to do. There are people out there who are bothered by particular pieces of grammar. There are lots of people who are bothered by things like that! For me, there are two things. One is length, people over explaining something instead of finding the one thing that actually needs to be explained. The second thing is when I see evidence of the org chart being made visible in the whole product experience. When I can tell that marketing and the product are not aligned and I can see there’s a strategic problem going on that needs to be resolved. That’s one of the things that a content strategist would pick up on. Des: Is it fair to say that you talk a bit about copy, but that’s only because it’s the most tangible output? Much like designers ultimately create pixels but design is not about pixels. Words are the output but content strategy is not about micro copy, right? Elizabeth: Yes, words are part of the output, internal communication and keeping people aligned is part of the output as is doing system modeling and structural work. The words being part of the output isn’t a bad thing, as we see in working on the messenger. Words can be incredibly powerful – five simple words in a messenger interface can carry a huge weight in a product. The design aspect of it is definitely felt in the words that you see. While those are only equivalent to pixels and colors, they are still incredibly important and incredibly valuable. Des: The messenger was a ground up re-imagination of what it means to talk to people on a website or inside a product. We basically re-did everything. When did you come in and what did you work on? Elizabeth: I came in pretty late. It was a couple of months before we launched, but a lot of the design work had been done. Like any project, you’re working on it right up until the end, and there’s a lot of change and re-examination. The PM on that project, Brian Donohue, was incredibly focused on getting it right. I had worked with him previously, at another company, so he brought me right in and we started talking about the concepts behind all of the elements that had been created. We had redesigned certain aspects of the messenger, like profile cards, and even the fields within those profile cards. What is a team profile supposed to be for and how does it feel personal? If we’re asking people to introduce themselves, why are we asking them to do that? What should they say? We were trying to be really specific, because the power of great microcopy and great interface copy is being able to tell people exactly what to do, clearly, so they don’t have to think about it. It’s really easy to design something that looks very beautiful, but you might have pieces of that interface that, even though it’s incredibly spare, are still unclear in terms of their motivation. That’s where we started, and we worked a lot on how we talked about different parts of the design work. A lot of it was with the engineers and the designers, clarifying what it was we had built, or were building, as we went along. The engineers on that team were fantastic, and they came up with this phrase, “same language from code to customer”. They wanted to be able to use the same terminology in our code base – for example, ’team” and “teammate” instead of “admin” – and have that appear in the interface as well. There are a lot of people in Intercom who are incredibly focused on detail. Des: Does that mean that for a certain type of in-app message, from the Ruby code that models it down to the methods that implement it, to the UI label, all the way to marketing, that it’s all the same thing? Elizabeth: Yup, so if a new engineer came in, and they were looking at the code base and wondering, “what is this thing?”, we have something articulated in our design patterns and also visible in the interface and in the way we describe it in the interface. Des: What was the most controversial or difficult part, from a content strategy point of view, of the latest messenger release? Elizabeth: When it launched, I probably would have said that it was this design feature called Borderless. It was really nice way to experience a messaging context without opening a big heavy messenger chrome. We spent a lot of time talking about what we should call it. For me, that felt like the most pressing thing at the time. But since then, it has been the idea of an introduction. If you’re asking someone to introduce themselves to their customers, what’s the most effective way of doing that? That’s the thing we’ve iterated the most, and it really comes down to Intercom’s mission. What does it mean to be personal? If you’re asking someone to introduce themselves to their customers so that their customer can get to know them, what’s the effective way of doing that? Do you want them to say, “Hey, I’m Des and I like surfing on the weekends” or should it be like, “Hey, I’m Des and I have this role and I can help you in this way.” What’s the real thing that you want people to do? We’re all about being personal and we want people to be able to express themselves, so we’re kind of opting for something a bit more free form. That question is almost like Intercom’s mission in one field. Des: Are there any words or phrases that cause you particular pain? Anything that makes you think “You know what, this always bites us so let’s never use it.”? Elizabeth: “People” is definitely a big one. We get a lot of confused questions about it, because of the way we’ve traditionally talked about it. One of the most satisfying things is being able to move that along in new releases, e.g. our product store and working with our product growth team on that. That’s one of the places where, though the work is founded in the product team and in design work, content strategy has an impact across the organization. are there inconsistencies, or the same word used in multiple ways? Another thing is the tendency to over explain ourselves. We have a really complicated product that does lots of different things. Sometimes we’re so enmeshed in it ourselves – and I think any product team would experience this as well – we forget we don’t have to literally explain every single step of how it works, we just have to take you to the next step. Elizabeth: Yeah, we did user testing of the word “soon”. It’s the most dangerous word in the English language for us. People, when they hear “soon”, they think it means either right away or never. If we say, “they’ll reply to you soon” people interpret it as either “This interface is lying to me and nobody’s ever going to reply to my message” or some think it means right away. It’s about how people interpret really simple words. A lot of the most interesting work that I’ve been able to do has been working with the messenger team to get those five word strings of text exactly right, and then iterate on them. Des: For projects like these, UX designers have their wire frames, and engineers have their software. What tools does a content strategist use? Elizabeth: It depends on the task at hand. When I first started, in order to understand the lay of the land I did a product taxonomy, which is essentially an audit of literally every word that we have on the product. It wasn’t just a long, flat list, as it involved asking, what is this thing and how do I categorize it, and how does it relate to these other things? Where are there inconsistencies, or the same word used in multiple ways? I also produced a glossary. The next step was a public glossary of the terms that we have. This is part of keeping us honest, making sure we stick to the terminology we want our customers to use. That was a really interesting process of collaborating with people across the organization to define all of these different parts of the product. I still do that for new products that are released. I work on the product glossary that will go out to our communications and marketing teams, so they’ll understand exactly what we mean when we say x word. But in my day to day, I work really closely with the design team, so lot of times I’m working directly in Sketch. While everything should be content first and you should design around the content, it’s more of a back and forth. That’s the most fun and interesting way to do it. Des: After it’s live, when you decide to make changes, do you make those directly or do you put in a request? Elizabeth: A combination. When I started I was making requests, but that’s an incredible load on our developers. Now I have a development environment and I can make changes directly to the code, as can all our designers. With a little bit of training we were able to do that. We also use GitHub for resolving issues, though there’s a point where it breaks, and you’re trying to look at a whole system of terminology. Des: We have a pretty extensive design pattern library, and the rule there is if something here will do the job, use it, and to think very carefully before adding to it. Is it similar with your glossary? Elizabeth: It definitely is. Say we have a word for people, like “teammate”, we shouldn’t necessarily come up with different words to describe people in a different way just because we’re talking about the product in a slightly different way. That can be tough, because we work in lots of different areas. We have support contexts, and marketing contexts. In the public domain there are lots of different terms used to describe people and different types of ways of describing customers. We have to stick to our system-wide definition unless we have a really strong reason not to. Des: Without defaming your colleagues, is it a problem that when we’re creating something new, everyone thinks that everything should be new? I certainly see it on the UI side. Elizabeth: There’s a little bit of that. A lot of it is breaking it down structurally. People look at words and they think every new sentence is a brand new sentence, completely crafted, never been heard before. Actually, if you look at the patterns behind the sentences – the verb structures, how we use pronouns – all of those things have to follow a pattern, and often for really specific reasons. For example, we couldn’t use a non-gendered pronoun in our messenger. We can’t use gendered pronouns because we don’t ask your gender when you sign up to Intercom, like Facebook would. But we can’t use a non-gender pronoun because it doesn’t translate well. There are different technical and specific considerations that give you a lot of guidelines and constraints that focus the way you can express things. A lot of it is also like design itself. I feel completely supported in saying that we shouldn’t use x pattern or y pattern because the content purpose isn’t best served by that. It might look better, but it isn’t necessarily the right reason to use it. In that context I would see as more of a design decision, as opposed to it just being the words themselves. 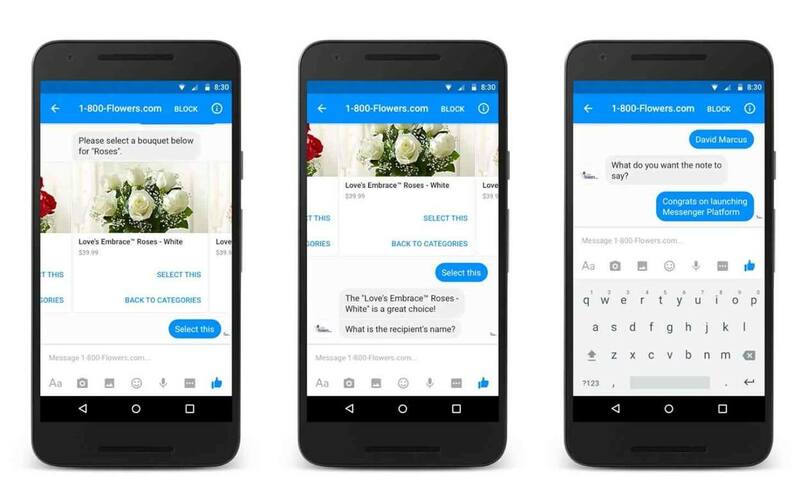 Des: We’re seeing the rise of conversational commerce, conversational interfaces, or bots. These are bubbles going back and forth, and there is no UI, or very limited UI. That’s puts a heavy emphasis on the words. I presume that’s good news for a content strategist, because finally people have to play in your world. What are the key things people need to think about, from a content perspective, if they’re designing a chat-based product? Elizabeth: I gave a talk at Confab recently which really focused on bots and what we had learned about bots from some experimentation we had done earlier this year. One of the things that’s important but not considered is the role of personification. We have this default, maybe from science fiction, that robots have personality, so we say, what are you going to call your bot? That is completely jumping to the conclusion that it has to have a name or a personality. What we’ve realized in testing is that in the wrong context that can fail and be frustrating and annoying for people. Des: Is that because it’s trying to be goofy and playful all the time when it’s not useful? Elizabeth: Not even. We’ve even found just having a first person pronoun and name is frustrating, because it’s a cognitive barrier. It’s different if you download an app that you know is going to be a bot. But if you want to talk to a human being or download something, or you’re using something, and then then this bot pops up and you don’t expect it. There’s also the whole sequential aspect. 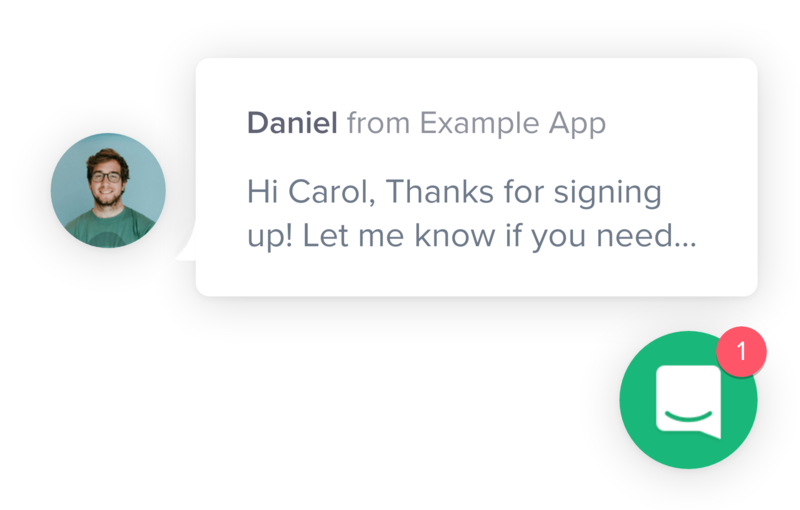 In conversational UI in general, and bots more specifically, it can take a lot longer to get something done. It can be really quick if you know exactly what to say, or if it’s structured in the right way. With bots we’re almost back in the days when search didn’t work well and we had to figure out how to search for something effectively. It’s like that with badly made bots, you have figure out how to talk to the bot to get the answer you want, which should not be what we want to do. Des: The funny thing is that in the beginning, as Neal Stephenson once wrote, there was the command line, and the idea of an interface where you could type a limited number of commands in and it would react based on whether or not you got the syntax right. We’ve reinvented that and put chat bubbles around it, and now everyone thinks the internet’s going to change fundamentally. Elizabeth: And bots themselves are a huge landscape with lots of differences. I read some interesting research that said when you hear a voice, like with Siri or Alexa or any kind of voice-operated bot, you’re far more likely to trust it and to accept it as a person or an anthropomorphic thing, than you are if you read text. With text you disassociate from it completely, which explains why a lot of people’s internet comments are so terrible. There are all these different psychological things going on, and that’s so interesting. It’s an incredible place to be in and to get to think about, and it’s a great justification that everything comes back to the words eventually. Des: The most interesting thing that occurs to me is that we’re reinventing UI inside a chat window. Take Facebook. A lot of their popular bots, like 1-800-Flowers, fall back to a restricted set of commands whenever they can. Knowing Facebook, I’m sure that that’s for the right reason, for what performs a lot. I presume that’s mostly a challenge of natural language processing? There’s a million ways to say, “I want flowers.” But there’s only one way to click the flowers icon that’s beside the chocolates icon. It also talks to how difficult it can be to interpret the millions of ways people express themselves, and yet, to only really have one way for a bot to talk back. Obviously the bot can adopt its own personality, but at some point you have to ask, what are you really trying to do? Elizabeth: Exactly. Are you trying to create something that can communicate? That’s more of a science experiment, or are you actually trying to create UI that’s helpful? Not for nothing, but Facebook has a massive content strategy team. A couple of them spoke at Confab as well, and they had some interesting points to make. It wasn’t, “It’s bots or nothing.” They think of all of their UI as conversational. It’s all about an interaction and it should all speak to you. Text-based bots should be fulfilling a really specific use case. While there are limitless ways to say, “I want flowers”, there’s still the right way for your brand and your tone of voice, and the way that has tested well that people aren’t offended by. There are all these different considerations, like with any design, that narrow you down so that you’re picking between a couple of options. Des: Lastly, while it’s fair to say that content strategy is new in terms of being a discipline that’s isolated with its own community, it’s not that we weren’t doing any of this before. Like you said, it was an 1/8th of a person’s job, and maybe that person was the designer. How do you see content strategy evolving from here? It seems to be getting bigger. You’re saying Facebook has a massive team. I believe there are other similar sized companies with very large teams. Elizabeth: A good friend of mine joined Shopify’s content strategy team, they’re growing quite a lot, and she pointed out that they have very specific content strategists, for example a brand content strategist or a product content strategist. It’s like the way user experience is diversifying into specific cases that it’s trying to maintain. It’s in content strategy’s nature – as it’s in any designer’s nature – to look at the whole of the problem and want to solve everything to do with content within a company or a product. We’re now specializing in specific ways. What’s nice is that it’s still a small enough industry that people are learning from each other across the web world and the product world. There’s really interesting stuff happening and I think that’s going to continue and solidify and become a natural part of every team. It makes complete sense that you would have, in any product team, a product manager and a designer and a content strategist working together. I’ve seen that work wonderfully. When you think about it, it isn’t that far off working in advertising and having a copywriter and a designer working together. It’s recognizing that the words and the concepts behind the words don’t just happen magically, that they need careful thought. If you’re as excited as we are about how chatbots can grow your business, you can get started right here.